Over on YouTube user London Shortwave has uploaded a video showing a comparison of the FunCube Dongle Pro+, Airspy with SpyVerter upconverter and SDRplay on shortwave reception. The Funcube, Airspy and SDRplay are all $150 – $250 USD software defined radios that have much higher performance compared to the RTL-SDR. In the video he tests the reception of Radio New Zealand International (RNZI) at 9400 kHz using a 6m copper wire dipole and 9:1 matching balun raised 2m off the ground. He did not use any external antenna preselectors. The RNZI station is weak and appears to be almost blocked by a stronger station so reception of the station is difficult. In his results it appears that the FunCube and Airspy/SpyVerter are able to clearly receive the RNZI station, but the SDRplay has trouble with images of other stations mixing into the signal. If you are interested in a comparison of the Airspy, SDRplay and HackRF we previously did our own review here. Over on his blog Andrew has posted a good writeup where he determines the QRM (interference) effects of a PLT (power line transmission) device. 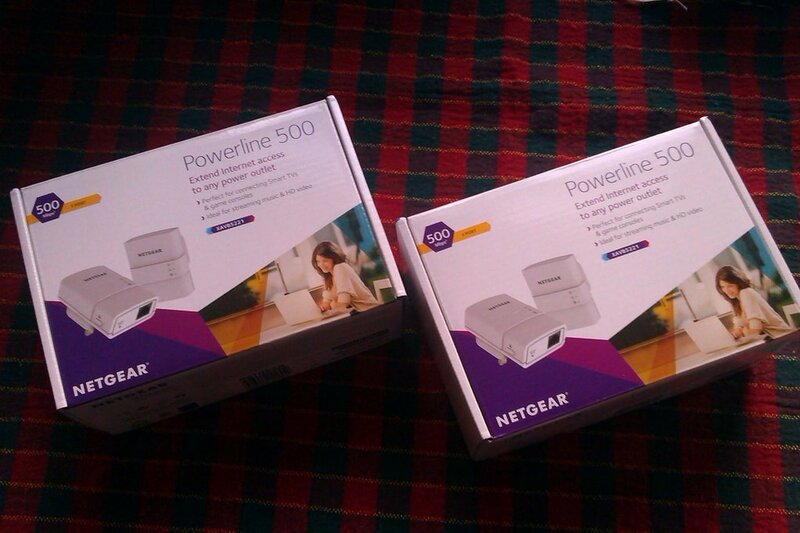 PLTs are also known as ethernet/internet over powerline devices and they are devices that plug into an electricity socket and use household electricity wires to create a computer network, thus eliminating the need for ethernet cables or WiFi. However, many hams and radio hobbyists hate these devices because they believe that they can cause significant amount of radio interference, especially on HF. The Brisbane Times ran a story today that discussed an interesting RF phenomenon that was solved using a FUNcube dongle software defined radio. 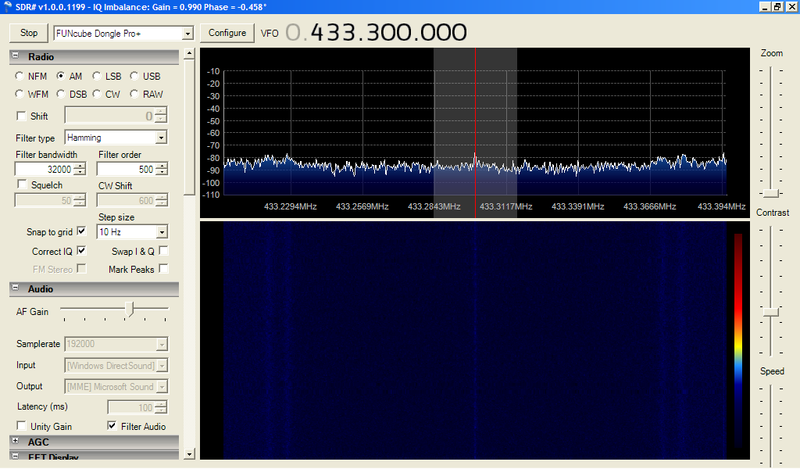 The Funcube dongle is a SDR similar to the RTL-SDR. 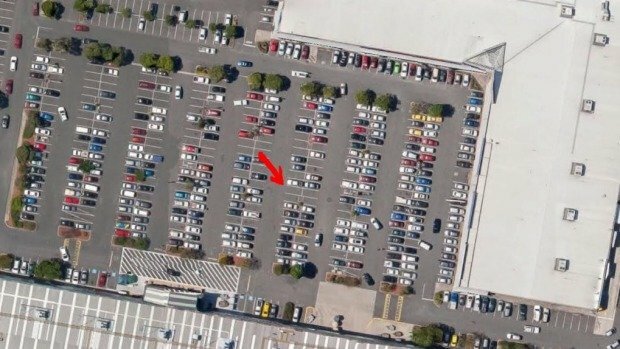 The issue was that vehicle wireless entry keyfobs would not work at a particular location within an outdoor shopping centre car park. I walked out to my car from Bunnings, and there was a new HSW Maloo parked in front of me with the owner staring at his key fob and shaking his head. I said “let me guess, car won’t open?” and he said yeah, and he’d been trying for about 5 minutes. I said that I’d had the same thing happen to me a few months back in the same spot, and then went to open my car. Nothing. No beep, door stayed locked. Looked around and there was another couple trying to get into their car as well (late model C Class). It took about 5 minutes of me trying the door every 20 seconds or so before it opened. HSV owner was still there when I left. The only thing he and I could think of causing it was the mobile phone tower in front of Aldi. So I pulled out my SDR and I did a complete frequency sweep from 100kHz to 2.2GHz and… also nothing. Everything completely normal. Nothing on that frequency, nor anything odd anywhere else on the spectrum. 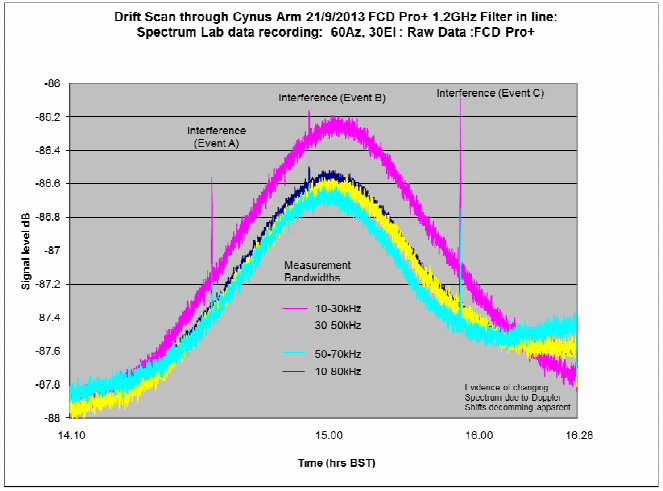 Couldn’t see any of the usual potential harmonics from RFID or standard WiFi gear. Here’s the output at 433.3MHz (forgot to grab a screenshot centred right at 433.92Mhz but it was also empty, as was 315MHz). Here’s where it gets interesting – I noticed that that location is almost in the middle of the car park between the three buildings, and they all have large amounts of metal flashing on their fronts. On a whim I watched the output when I pressed my own keyfob. And what do you know, I could see distorted reflections from my own signal bouncing off these buildings right back at me. My guess is that this is what was causing you issues! It may sound counter-intuitive, but next time it happens try cupping the keyfob in your hand to weaken the signal. It should still be strong enough to trigger your car to open, but then the reflections will be weak enough they won’t cause you trouble. So it seems that the layout of the buildings caused a focal point for reflections at that particular location which affected some wireless keyfobs. The location in the carpark of the deadzone. Over on the Hamspirit.de blog author Jan as written a post explaining how to receive the FUNcube satellite with an RTL-SDR dongle (note in German, use Google translate). The FUNcube is a CubeSat (a low cost miniature 10 cm cube sized satellite) which is intended mainly for educating young people about radio, space, physics and electronics, but has also piqued the interest of amateur radio hobbyists. Jan first writes how the Funcube Dongle was originally invented as a low cost means of receiving the FUNcube satellite, but now there are the even lower cost RTL-SDR dongles. 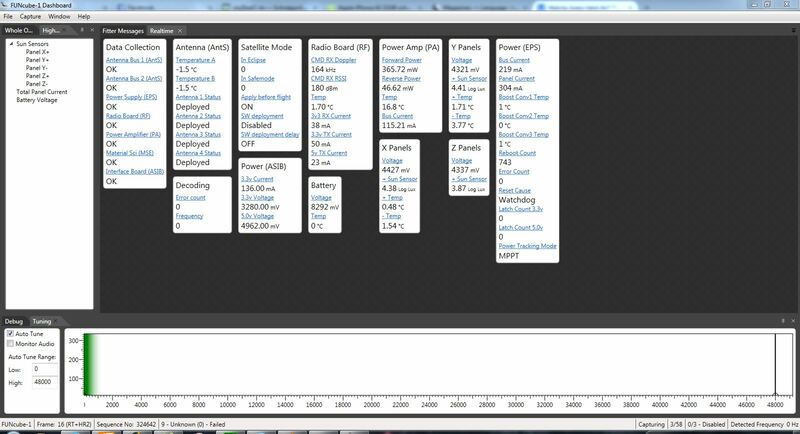 Jan’s post then goes over how to receive the FUNcube at a frequency of 145.935 MHz using software such as SDR-Radio or SDR# and how to decode the telemetry data using the FUNcube dashboard. He also explains a bit about the FUNcubes operating modes which change the satellites transmission strength depending whether or not its solar panels are in sunlight or not. Over on YouTube user LEGION ELMELENAS has uploaded a video showing his reception of voice communications from a Russian spacewalk on the International Space Station (ISS). Legion used a Funcube Dongle Pro+ which is a software defined radio USB dongle similar to the RTL-SDR, but with better performance and higher cost. He also used a home made turnstile antenna, the SDRSharp software and the Orbitron satellite tracking software to automatically correct for the signals doppler shift as the ISS flies over. A Radio Astronomer by the name of Dr David Morgan has released a tutorial/paper he wrote detailing how he uses the Funcube dongle Pro+ as a tool for radio astronomy. The Funcube dongle Pro+ is a software defined radio similar to the RTL-SDR, with higher cost, but better performance in some areas. Dr Morgan uses his Funcube dongle with the SpectrumLab Windows software, which is a specialized audio analyzer. For the hardware, David uses a 3m focal plane dish antenna and a 1200 MHz high pass filter. The paper goes into good detail about some of the technical side of radio astronomy, shows how to calibrate the telescope using the sun and also shows several measurements made. We note that the same procedures could also likely be done with the RTL-SDR. 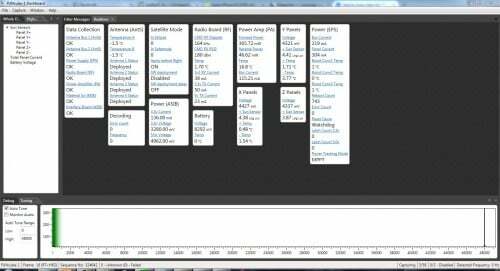 YouTube user aunumero73 has posted a video showing a broadcast FM selectivity comparison between the rtl-sdr and the Funcube Dongle PRO+ (FCD+). The FCD+ is a software defined radio similar to the rtl-sdr, but with better overall performance. The video shows that the Funcube Dongle PRO+ has significantly less interference when tuning to a weaker radio station right next to a strong local station. Of course the near $190 USD cost of the FCD+ vs the $20 USD cost of the rtl-sdr needs to be noted. Another comparison between the rtl-sdr and Funcube Dongle is made on this website for signal to noise ratios for multiple tested frequencies .